The fact is, barely anyone enjoys revision. Spending countless hours in your room or in the library memorising theories and equation that you’re likely to forget before the next school year starts is not my idea of fun, and it’s probably not yours either. However, it’s unavoidable and regardless of how boring and stressful it might be, we should all be grateful that we can get an education. 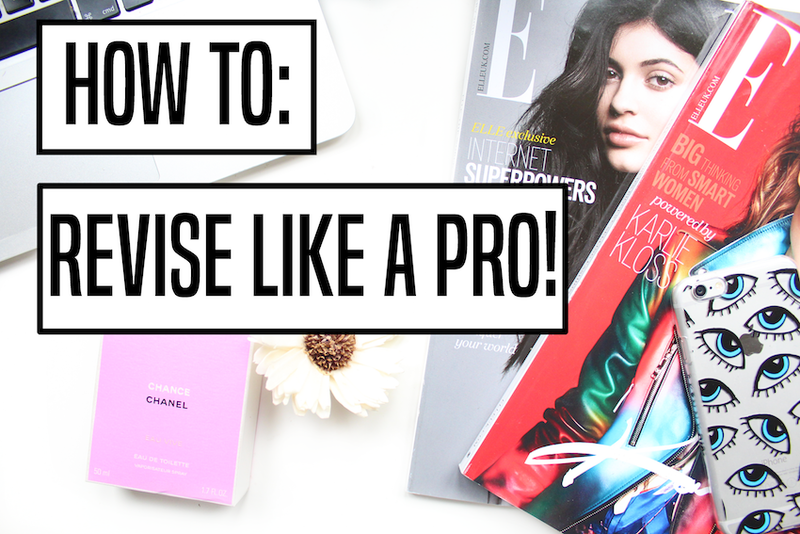 Today I’m going to share some tips that have helped me throughout the years to revise better and avoid any last minute cramming. If you have exams coming up, good luck! You can do it! Turn off your phone. And your laptop too, unless you need it for revision. Even better, if you can, turn off your wifi. I find my phone extremely distracting when I’m revising and my willpower is pretty much on the floor right now, so I usually give my phone to my sister to keep it until I’m done revising for the day. This way I don’t get distracted by Instagram or Whatsapp, or any other social media platform. Don’t eat too much. You obviously need to eat to have energy and to keep your brain alive, but eating too much will make you tired and sleepy, which is not what you want when you have a lot of work to get done. Colour code your notes. This might not work for everyone, but I find it extremely difficult to study from plain boring notes. I need to add loads of colour and drawings to make the revision process a bit more fun. My notes probably look like they have been written by a toddler, not going to lie. Hand write everything. It’s been proven that we learn more when we write something down in paper than we we type it on a Word document. If your notes are really long and you prefer not to do it by hand (totally understandable), try to do a summary or write down the hardest units. Flashcards. If you do a science degree or if you’re studying sciences at school, I would recommend writing all the equations of a subject on a flashcard. This makes it much easier to revise the formulas and to make sure you know them all. They’re also great for summaries or definitions.